A good turnout of members on my syndicate trout stream this weekend, was a sign of optimism for the coming 2019 trout season on April 1st, following two bad years on the north Hampshire fishery. 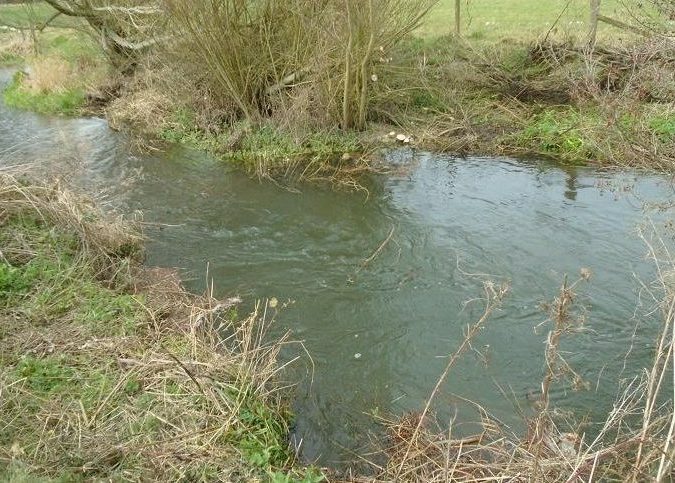 In 2017 the landowner diverted the river to build a new bridge, the flow reduced to a trickle, leaving trout stranded in shallow pools open to predators, such as mink and herons. This was done without consultation with the anglers, who could have mounted a rescue operation. Many trout and coarse fish were lost. Last season we enjoyed a long hot summer with associated low river levels, after a cold wet spring. Trout were hard to reach, seeking out deeper water under banks and trees, many members not returning to the water once the Mayfly were over. Even the chub and dace were scarce during the summer months on my few brief visits. 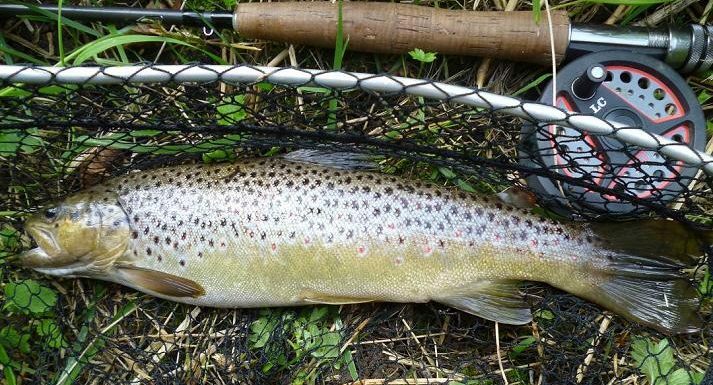 The last fortnight of September gave me hope for this year, when I caught a couple of ten inch wild browns from both ends of the fishery, plus losing a very large trout two weeks running from the same spot. This was the last trout of the season for me, bright silver like a rainbow. 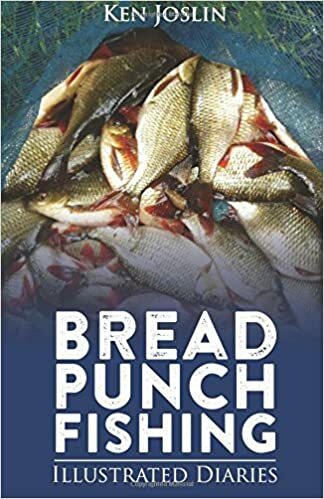 During autumn and winter, the mixed fishery is fished by coarse anglers, who reported many juvenile trout taking their maggot baits and judging by the redds created by spawning trout, observed on the working party this January, trout stocks should soon regain previous levels. 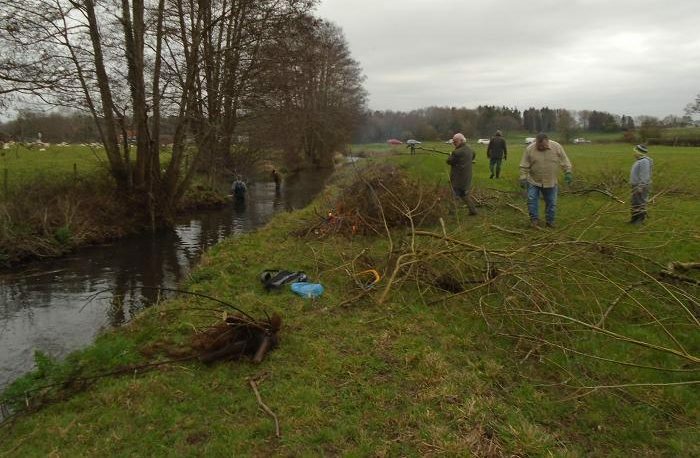 Work on the river has involved the creation of berms to speed up flow, while intrusive willow has been cut back and overhanging trees trimmed. 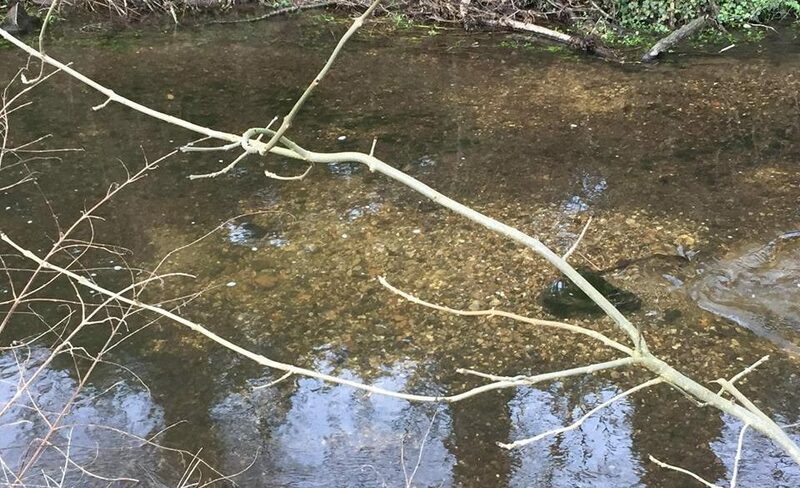 This clump of willows claimed two of my best brown trout last year, the deep pool now accessible from the bank, avoiding the need for a tricky upstream cast from the tree shrouded river. Here’s hoping that the 2019 Whitewater trout fishing season puts a few more wild browns in the net.